AtlasFAI is proud to share the addition of office and doctor to treat patients in Davis area. DAVIS, Calif. - June 5, 2018 - PRLog -- Let us introduce Dr. Tracy Ferragamo from our Davis, California office! Dr. Ferragamo is thrilled to have joined us as an AtlasFAI Certified Center. She has the first Atlas Foot Alignment Institute Center to open up in California. Dr. Ferragamo has dedicated her professional career to helping people off all ages put an end to foot pain to improve their quality of life. She is trained and certified in peripheral neuropathy surgical correction, CO2 LASER surgery, neurosensory testing, endoscopic foot surgery and peripheral arterial disease screening. She is also considered a HyProCure® Master Surgeon as well as a Center of Excellence. She is trained and certified in Neurosensory Testing with pressure specific sensory device, trained and certified in CO2 LASER Surgery as well as multiple nerve decompression for peripheral neuropathy, and a founding member of the diabetic neuropathy foundation of the Southeast. Patients also come to Dr. Ferragamo for experienced and skilled treatment of heel and arch pain, bone spurs, bunions, neuromas, hammertoes, ankle pain, ingrown toenails, injuries, generalized foot pain and fatigue and many other foot problems. 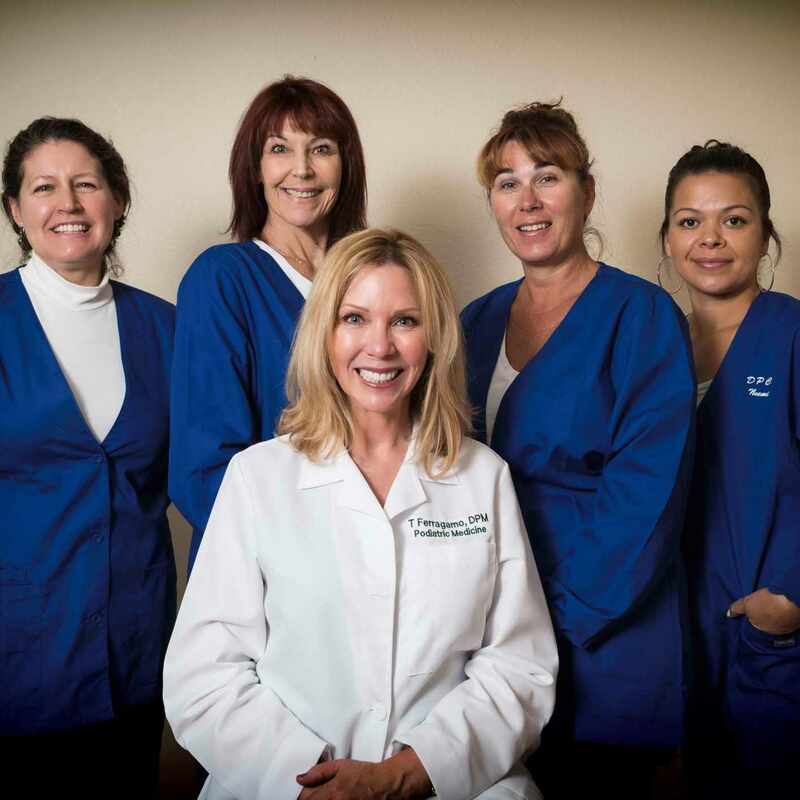 Dr. Ferragamo provides podiatric care for all ages, and has a passion for treating all types of foot and ankle conditions. We're honored to have her with the AtlasFAI Family!